It has been over a year since my last holiday. How unreasonable. Last February I was soaking up the sun in Thailand, throwing buckets of water over elephants and learning to cook authentic Thai food. There’s a lot to be said for an exotic holiday like that, but I’m looking forward to more low-key and local explorations in 2014, getting to know the UK a bit better and perhaps venturing over to Europe. But as yet, no firm plans have materialised. So, let’s just imagine an end to this barren stretch and let my food do the travelling for me. 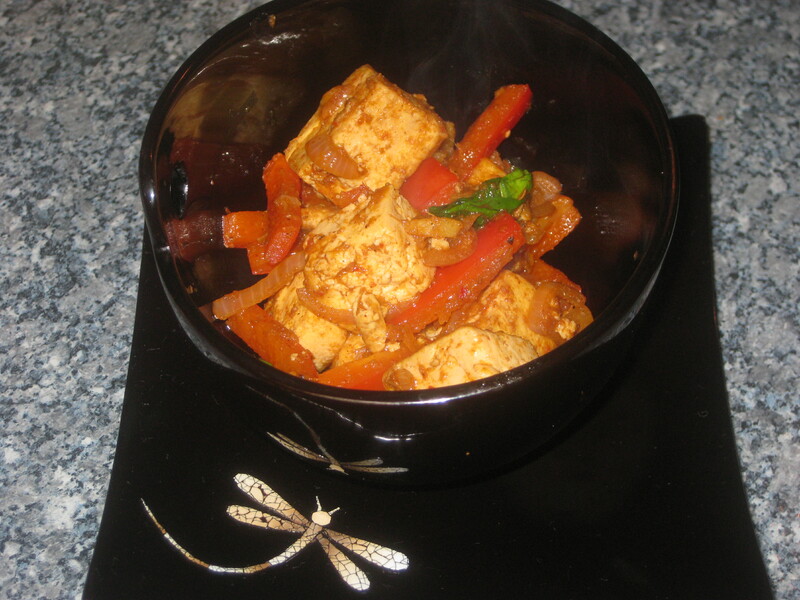 This is a spicy and delicious dish, lovely with rice. 1. 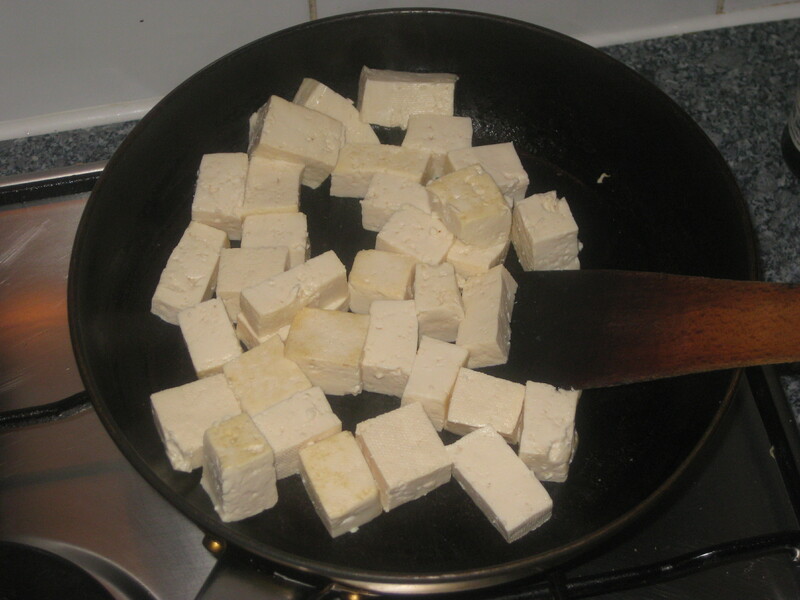 Spray some cooking spray in a frying pan, add the tofu and cook over medium heat for 5 minutes, flipping it frequently. 2. 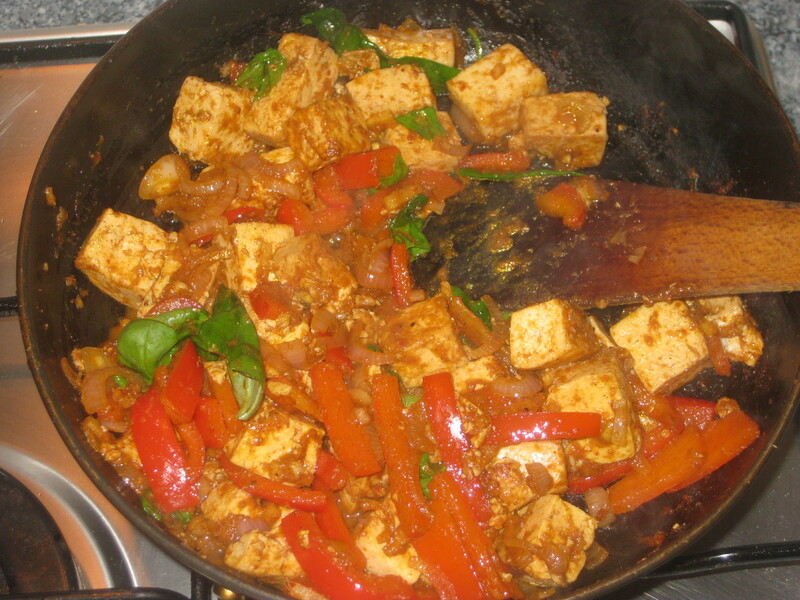 Add half the soy sauce and cook for a further 5 minutes. 3. 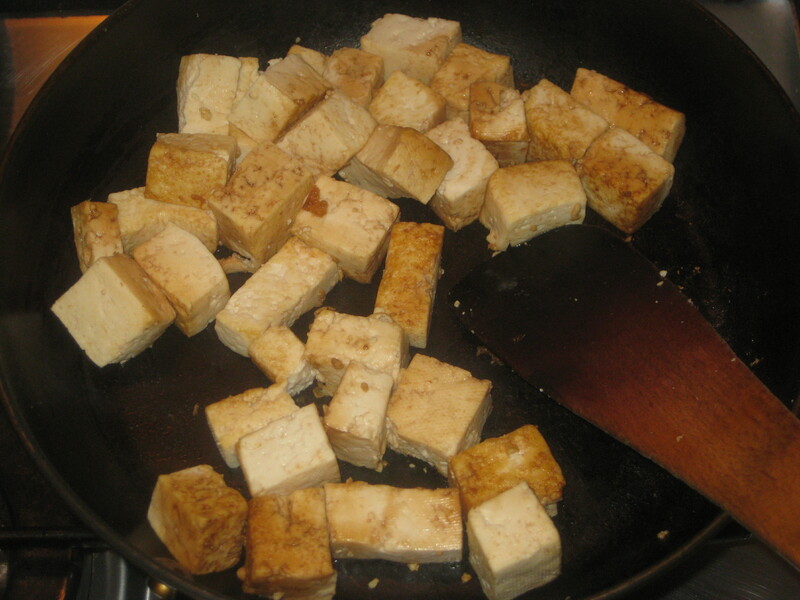 Remove the tofu from the pan and set it aside. 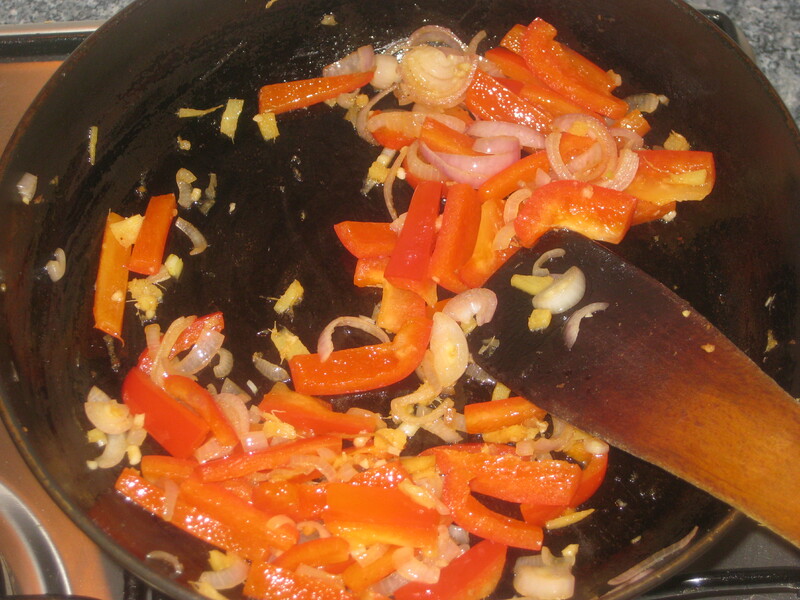 Add the oil to the pan and saute the pepper, shallots, garlic and ginger for about 5 minutes. 4. 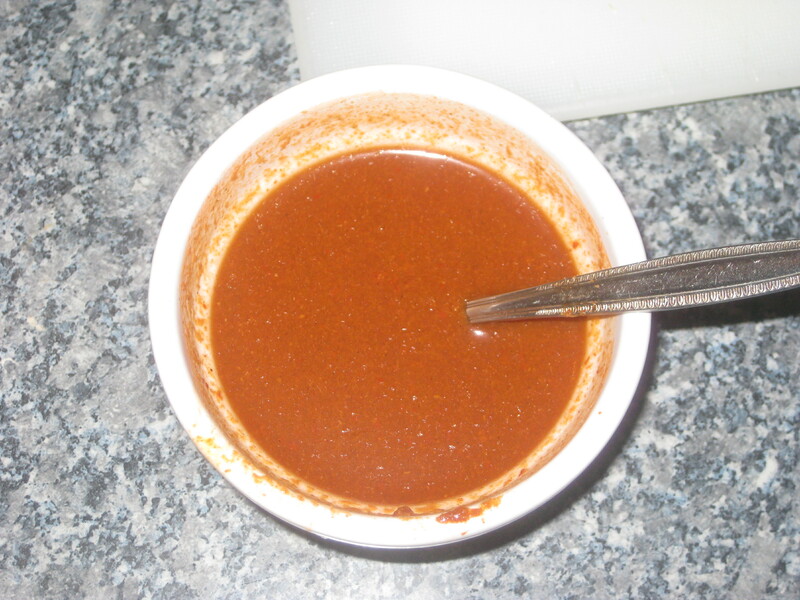 Meanwhile, mix together the curry paste, water and remaining soy sauce. 5. 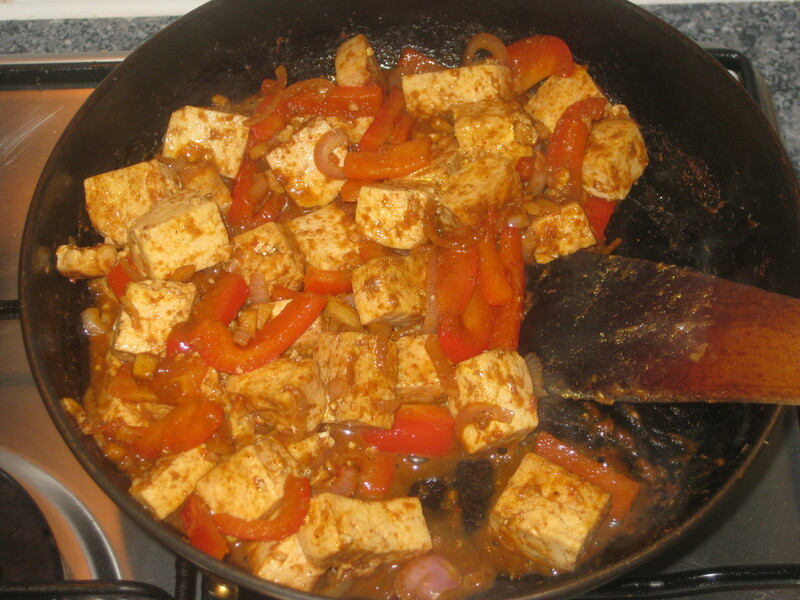 Add the tofu and curry paste mixture to the pan and cook for another 5 minutes, ensuring everything is evenly coated and mixed. 6. Throw in the basil leaves at the end to wilt them, then serve with rice. 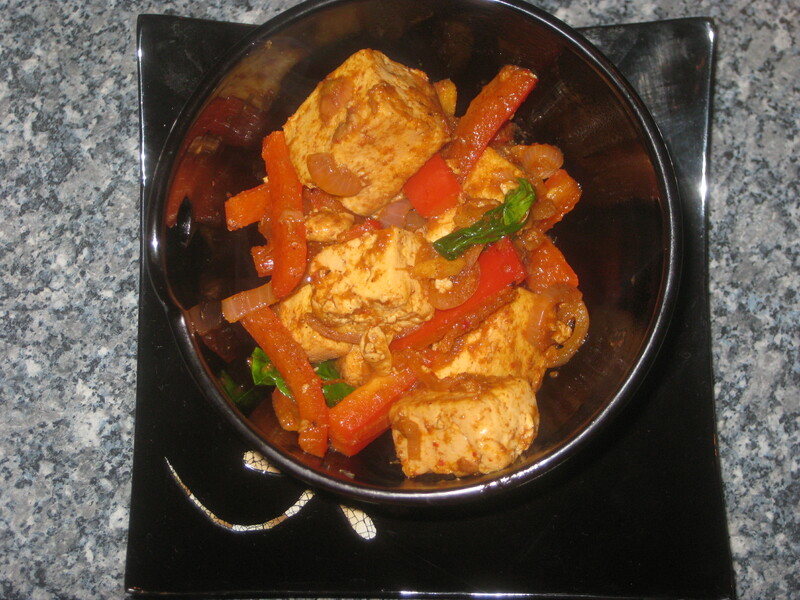 This entry was posted in Vegan Recipes and tagged red curry tofu, Thai red curry, tofu, vegan red curry. Bookmark the permalink. Food is great for imaginary travel! I know how you feel about Thailand. I’d give anything to there. Even just for the weekend! 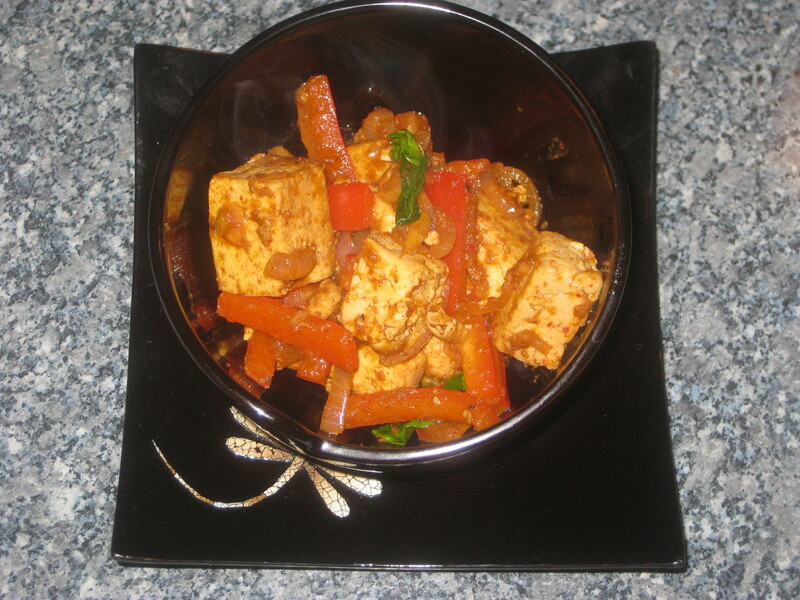 I think a thai curry will help me through too!